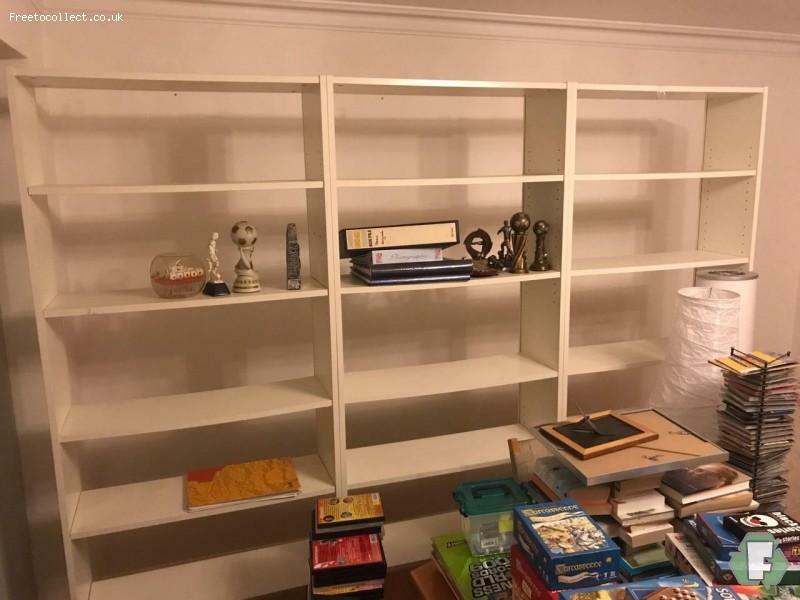 In excellent condition and the three book cases are joined at the moment. Free to collect and can be dismantled. Dimensions  202x80x28cm (height x width x depth) for single unit.